Please see below for information about student job and internship opportunities. If you would like your listing to be included, please send information to Melinda Pearson by email. Please send a very brief description, and any relevant website links or flyers. 2020 Census – Address Canvassing positions available. 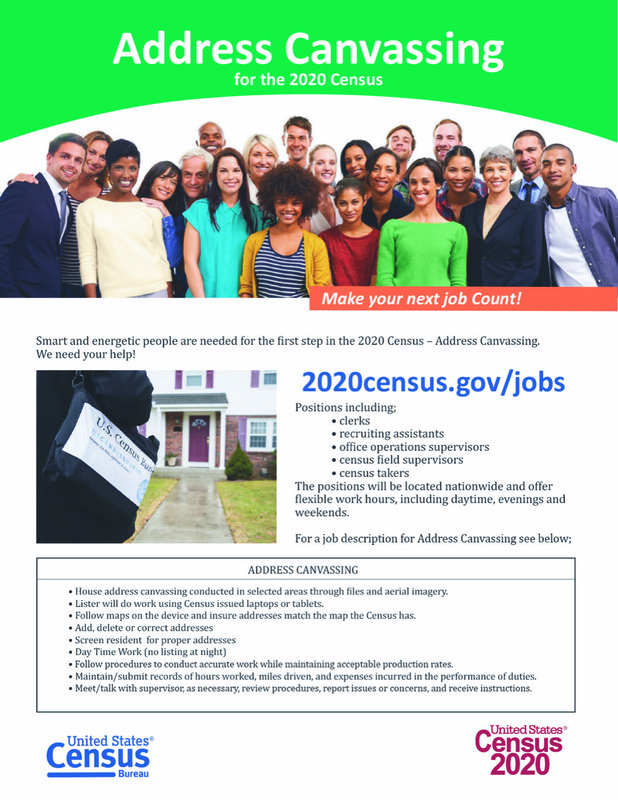 Apply online at 2020census.gov/jobs and see this brochure for more details. 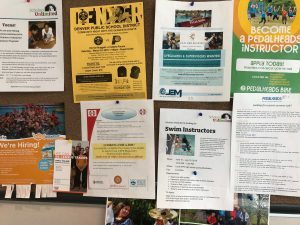 Goldfish Swim School – our neighbor down the street is always looking for student help. Check their website for latest information on open positions. 2019 FBI Teen Academy – Held June 12th in Denver, 8am to 5pm. Application available here. FAQs here. For more information, email aemeyer@fbi.gov. Pedalheads Summer Camp – Seeking bike instructors for 2019 Summer Camp. See flyer and instructor posting for details. Urban Air – Stapleton’s newest indoor adventure zone is looking to hire between 60-80 applicants to staff the adventure park. They are projected to open around Memorial Day and will be looking for front end customer service, birthday party hosts, cafe help and court monitors. Mark your calendars for a job fair on April 27 from 10am to 5pm.